For better or worse, change often seems to find its place in artists that we hold dear when we least expect it. It’s a seemingly inevitable part of being a fan but even still, there are some bands who tend to be an exception to the rule. What’s both special and incredibly charming about New Jersey’s Real Estate, is the fact that they’re always growing but never drifting too far from familiar shores, and while this certainly doesn’t work for most, it undoubtedly does for them. In the fashion of 2011’s Days, Real Estate returns to enrapture our ears once more with their third full length, Atlas — an album that spans the roads already traveled as well as those left slightly uncharted. Diving headfirst into our hearts with the lush opening track “Had To Hear”, Atlas sets itself up as another warm and dreamy entry in Real Estate’s melodious collection early on, and with the delicate twists and turns heard on tracks like “The Crime” and the swaying psychedelics of “Horizon”, it’s pretty hard to chalk this album down as anything short of dazzling. 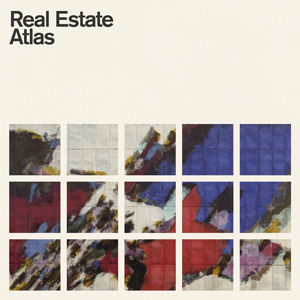 As usual, Real Estate has an undeniable way of perforating reality and whisking listeners off to places brimming with resplendence, and regardless of where things go from here, Atlas ensures that there will always be a place for them to return.